A little red wine would be appreciated. Gonna be embarrassing when their noses ‘boop’ while eating the same strand of spaghetti…and kitteh just keeps going …. Can we humans step aside for a few decades & let the animals rule? Before man kills them all off! 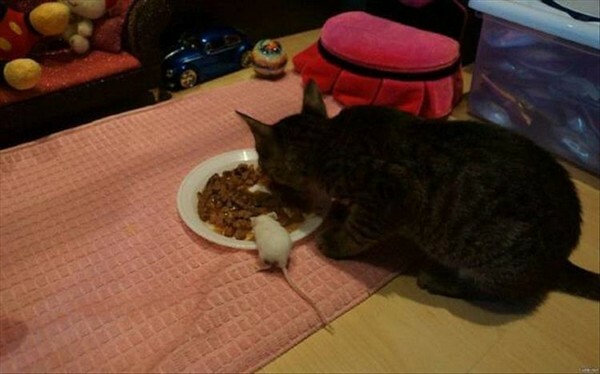 Does that mouse realize he’s dessert?